Thank you for your interest in teaching children and developing your teaching skills. Teaching children in the mountain environment provides a unique challenge. Working with kids requires both strong foundations in the fundamentals of snow sports as well as a solid knowledge of the way kids feel, behave, think and move. To this end, PSIA initially created the Junior Education Team (JET’s) to help facilitate a program of how to teach children well. The ACE (Advanced Children’s Educator) was the outcome of a developed curriculum showing mastery of clinic content and theory. Over the past decade this curriculum has evolved into the Children’s Specialist Program. The Children’s Specialist program is a certificate based program that follows the concepts and curriculum of the National Children’s Specialist Standards. WHAT we teach – comes from PSIA and AASI in the form of the skills concept and efficient movement patterns in skiing and riding. 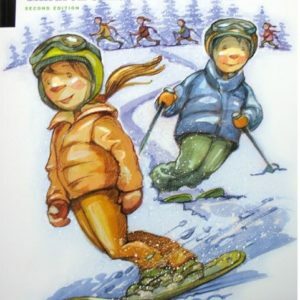 The skills required to progress through each level of skiing and riding are the same for adults and children. However, an understanding of Children’s Movement Patterns will assist in applying these models more realistically when teaching children. Identification and differentiation of real movement patterns versus ideal movement patterns is critical. HOW we teach – utilization of the teaching model helps organize the way in which information is delivered to the student. The Children’s Teaching Cycle is a specific version of the ATM teaching cycle that incorporates a fun way to disseminate fundamental information to the client. WHO we teach – understanding the student, creating the student profile is the most effective process in determining guest needs: the child’s Cognitive, Affective and Physical profiles. Incorporating theories related to developmental growth including those of Piaget, Maslow, Kohlberg and Gardner assist in profile development. The premise of the Children’s Specialist Standard is based upon the concepts of “levels of understanding” levels that define stages of learning within degrees of understanding. Just as certification is a measure of understanding, levels of certification represent stages of understanding. Although not a certification, Children’s Specialist participants will be expected to meet levels of competency as defined by CS 1 and CS 2 standards. Participants will be held to the knowledge and performance standards of the level at which they are participating as well as the criteria for all preceding levels. Levels of participant expectation are based on Bloom’s Taxonomy, referenced further in the CS Standard. For years, the first year or new instructor has been given the task of teaching children, and usually at the beginning level. Children challenge our teaching skills in particular ways and require a trained and competent teacher to understand and meet their unique goals. Creating a love of the mountain experience in a young person will carry that joy of sliding and gliding into adulthood. Resort area management and snow sports school directors recognize the importance of providing children with a high quality lesson. However, often the hierarchy that exists in schools allows an experienced, certified instructor to move away from working with children. 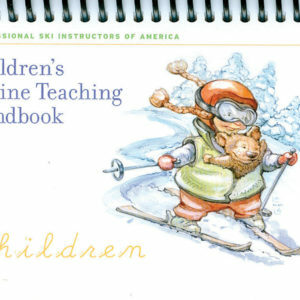 The Children’s Specialist Program offers a path to explore snow sports pedagogy and to empower children’s instructors by validating the technical, physical and theoretical based content unique to children’s educational requirements and in such as the program consists of the two programs; Children’s Specialist 1 (CS 1) and the Children’s Specialist 2 (CS 2). To participate in the CS1 two day clinic the participant must hold a Level I certification or higher, have access to the Children’s Instruction Manual, and possess a willingness to fully engage and participate in the two day event. The CS 1 course is a mandatory prerequisite to taking the CS 2 course. The online workbook and quiz must be successfully completed a minimum of two weeks before the on-snow clinic. 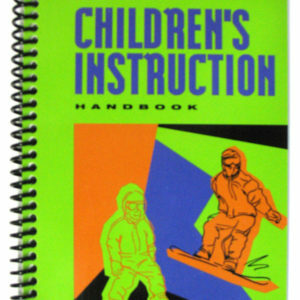 You also need to bring a copy of your completed workbook to the on-snow clinic, the clinician will not have one. Your understanding and knowledge of the workbook will be assessed by the CS1 clinician during the on-snow event. A feedback form will be provided to each participant during the on-snow event portion, outlining the key components covered during the CS 1 and suggestions for future growth in the participant’s development as a children’s educator. Register for the online Children’s Specialist 1 workbook and quiz here. To participate in the CS2 two day clinic the participant must hold a Level II certification or higher, have access to the Children’s Instruction Manual, and possess a willingness to fully engage and participate in the two day event. A minimum one full season separation between participating in the CS 1 and pursuing CS 2 is required. The online workbook and quiz must be successfully completed a minimum of two weeks before the on-snow clinic. Bring a copy with you to the on-snow clinic. The clinic leader will not bring a copy.A feedback form will be provided to each participant outlining the key components covered during the CS 2 and suggestions for future growth in the participant’s development as a children’s educator. Although not a certification, participants will be expected to meet levels of competency defined by Children’s Specialist 1 (CS1) and Children’s Specialist 2 (CS2) standards. Participants will be held to the knowledge and performance standards of their current discipline certification level. Click below to be taken to the PSIA-AASI National website.